conveniences of built-in Wi-Fi connectivity. 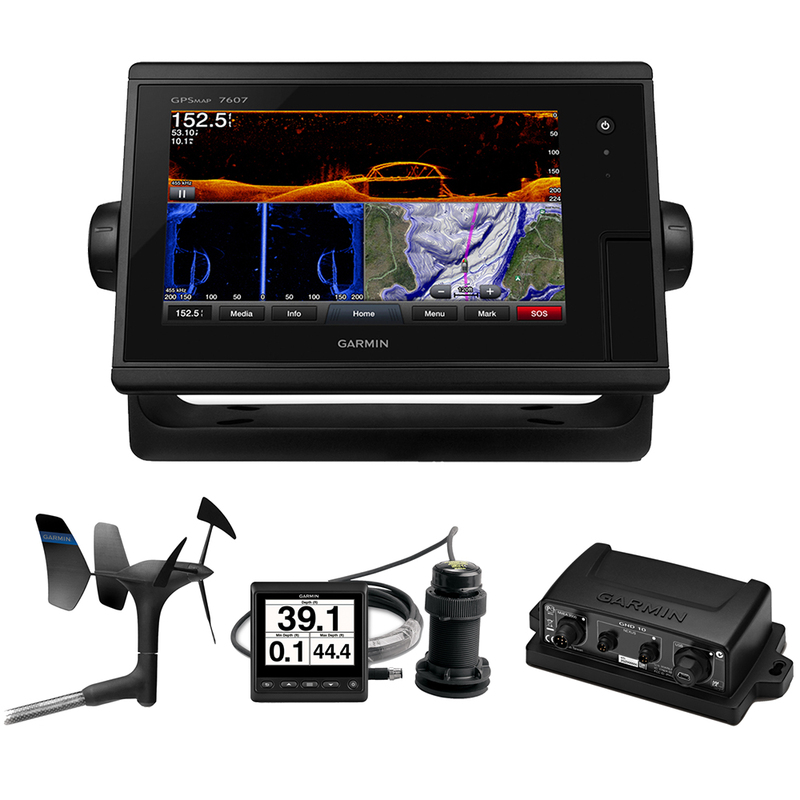 The included GND 10 black box bridge enables the Nexus Network and compatible Garmin chartplotters to share critical NMEA 2000 data. The GND 10 enables Garmin chartplotter owners to use Nexus sail equipment and vice versa. Available bundled with GMI™ 20, GND 10 and DST800 thru-hull smart transducer. GARMIN GNX 120 MARINE INSTRUMENT -7"
GARMIN GNX 130 MARINE INSTRUMENT-10"